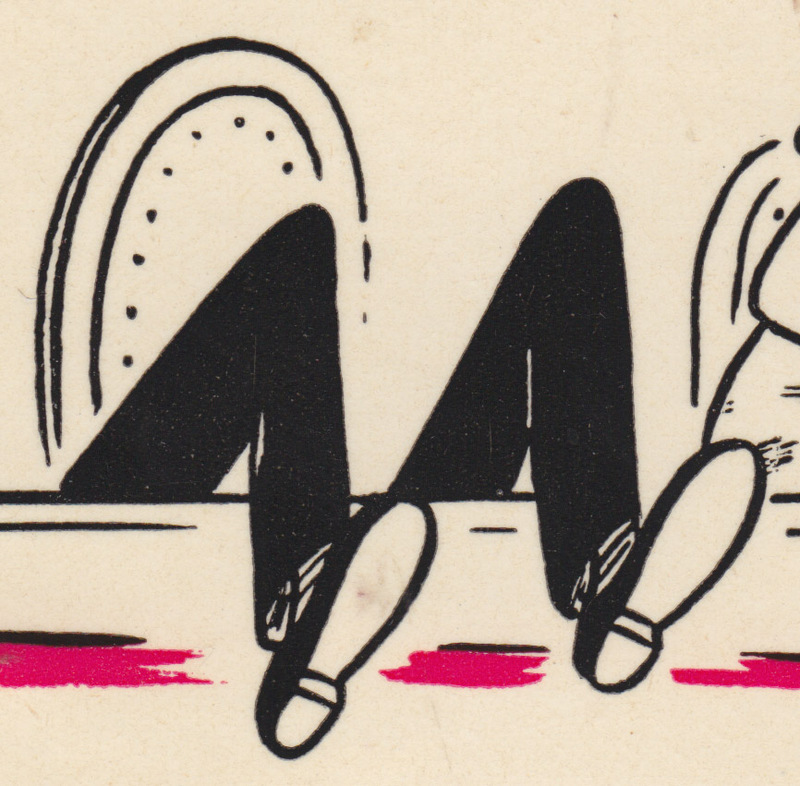 Now, I love that gal – heart and soul/ But I dig Jazz! … and she loves Rock´n´Roll! 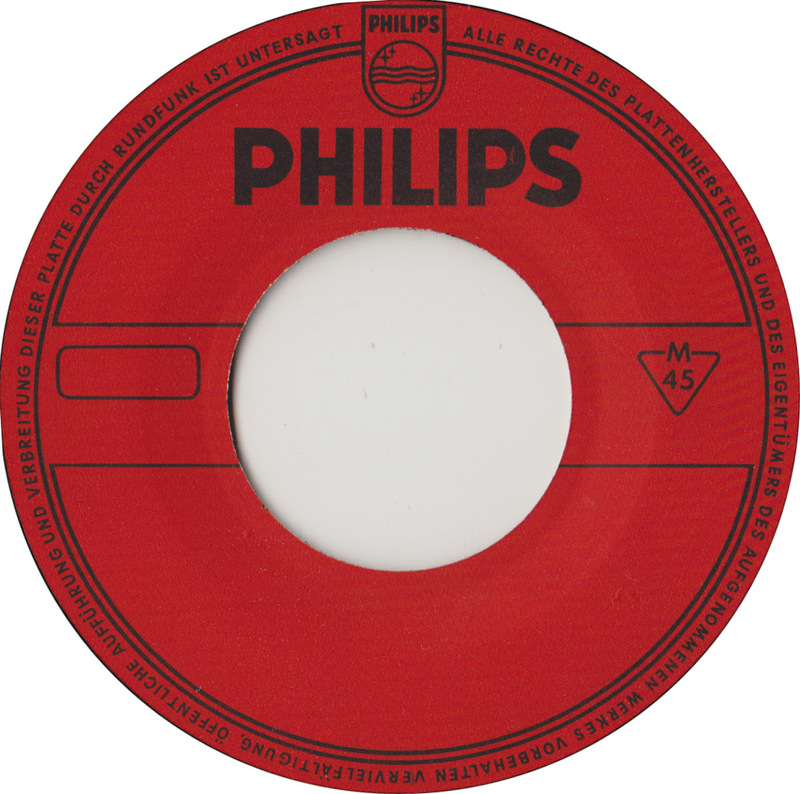 Found this crazy 45 in the cheapo bin of a local second-hand record store last week, for one measly Euro. No idea how it ended up there, but it sure is a killer. 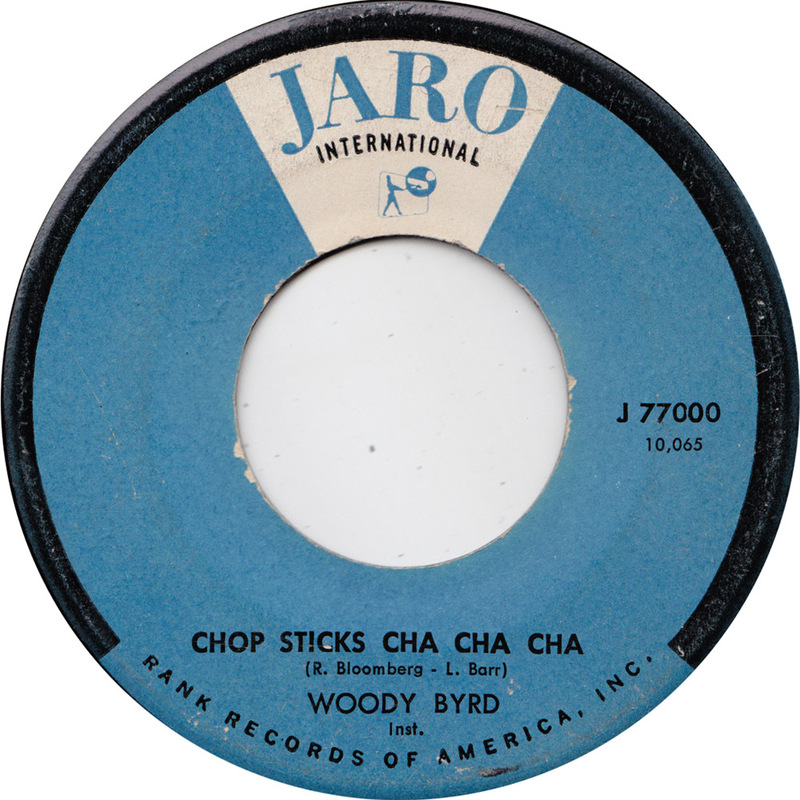 Issued by the Jaro label in 1959, at the hight of the Beatnik-craze, this was Woody Byrd´s sole 45. 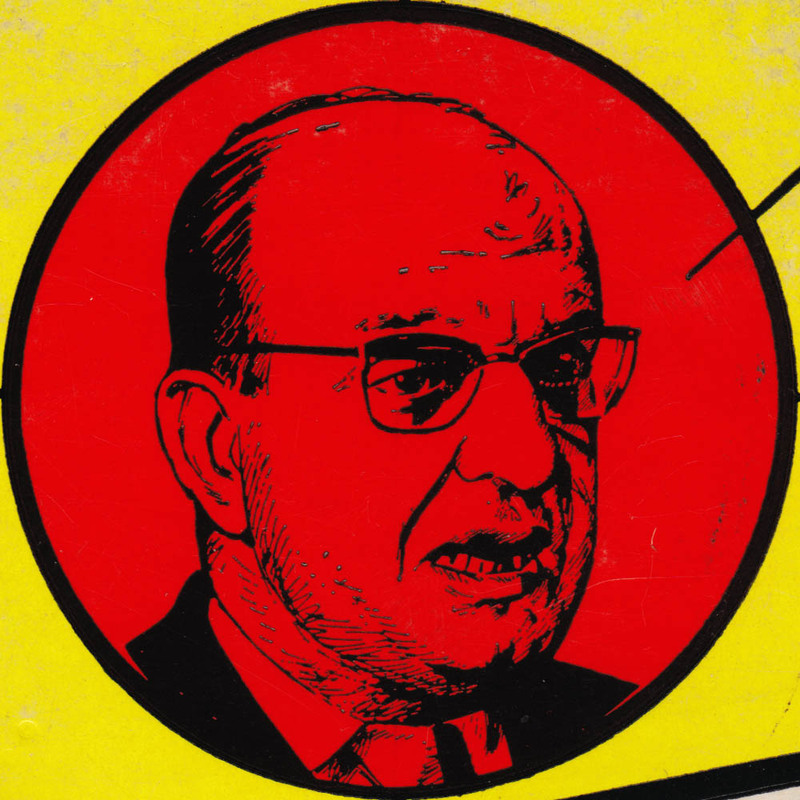 Jaro was a subsidiary of Top Rank International. This seems to be the label´s first release. 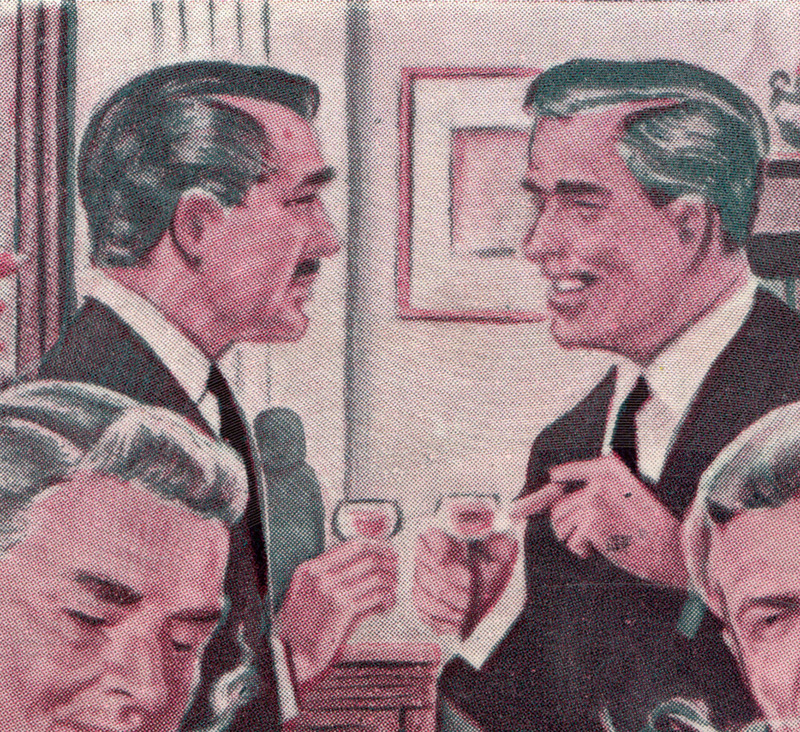 Both sides were also issued on Top Rank in New Zealand. 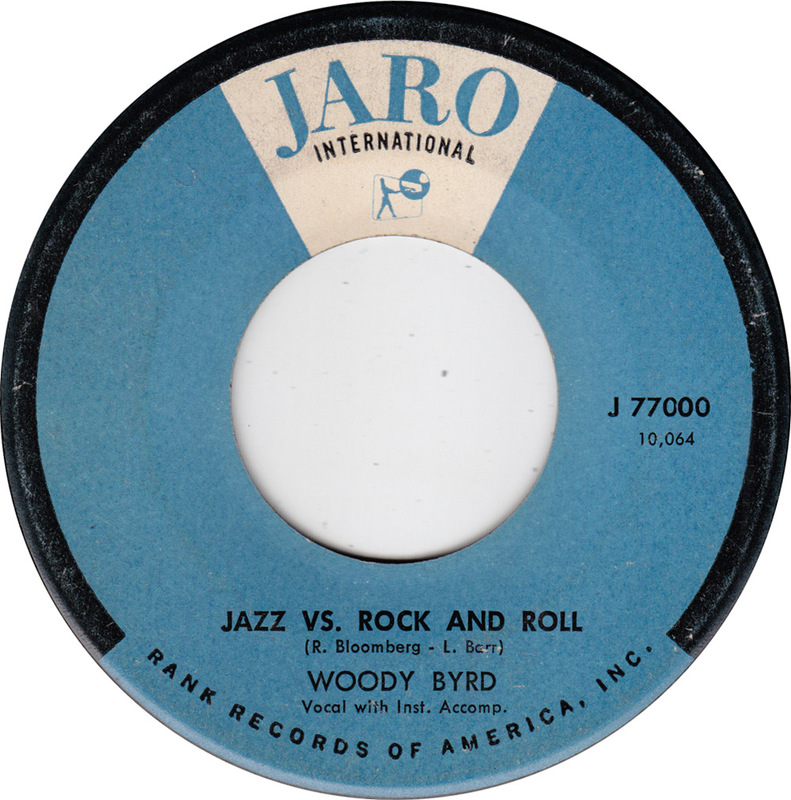 Jazz vs. Rock and Roll would have fit perfectly on the Welcome to the Beat Generation – comp that came out in the late 90s. Despite its cool combination of jive talk, swingin´ jazz music and rock´n´roll guitars, the song has never been re-released. At least I couldn´t find it. Maybe it´s too much of a real novelty break-in record, to be of interest to rock´n´roll fans. Much less jazz fans. Two weeks ago, I found this record at a Berlin record convention. 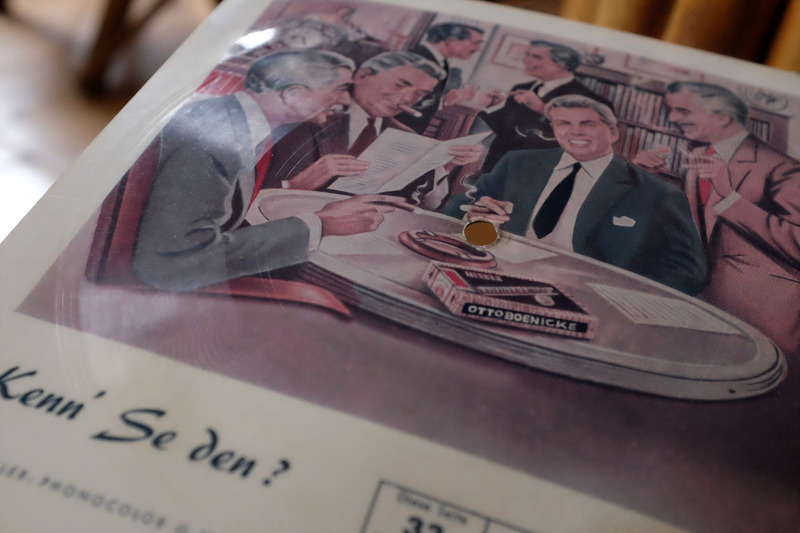 This promotional flexi-disc for the Berlin tobacco company of Otto Boenicke fits the framework of Berlin Beatet Bestes perfectly. 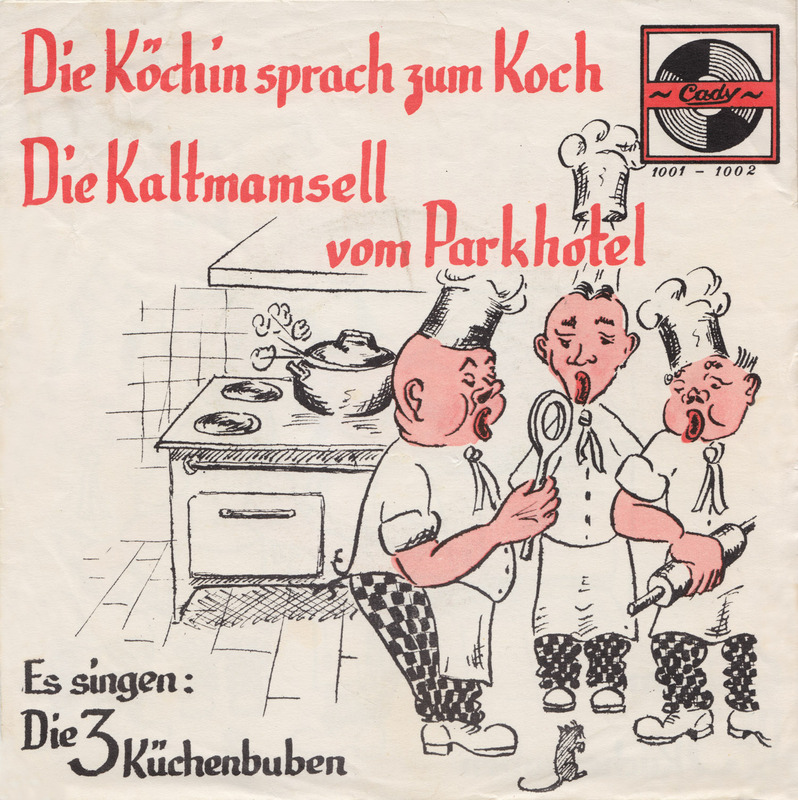 The front side of the record was illustrated by Helmut Nickel. 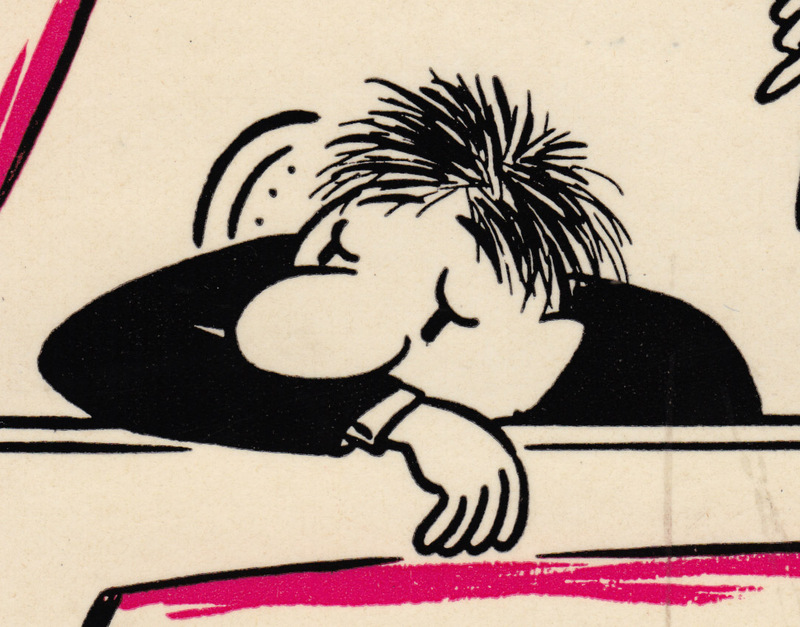 Nickel, an outstanding stylist in the German post-war adventure comic genre, was known for his instantly recognizable black and white pen work. 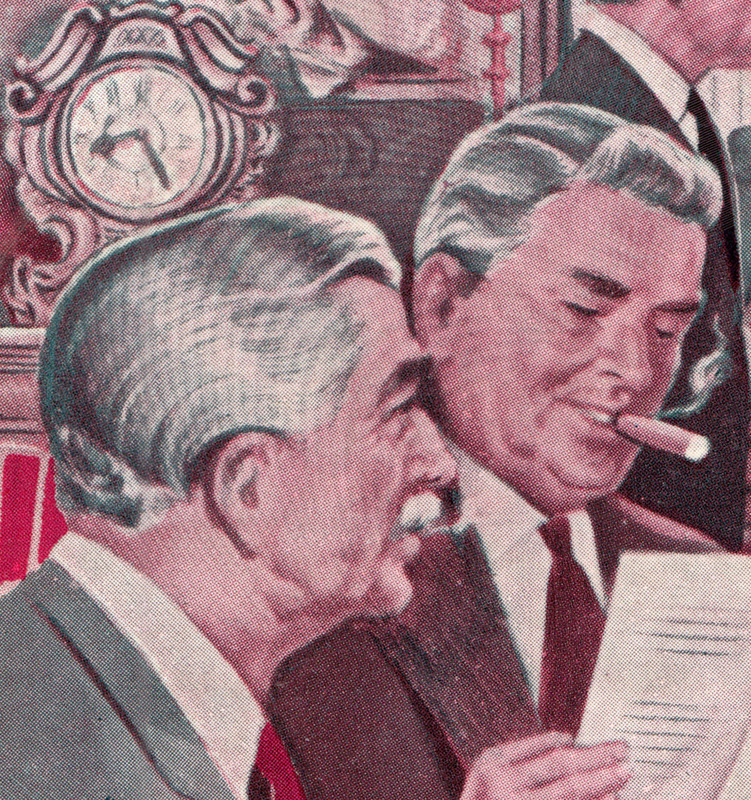 This gouache style illustration shows, he was very good with color, too. Born March 24, 1924 in Dresden, Helmut Nickel fought in WW II, was a prisoner of war for three years and left East-Germany for West-Berlin in 1948. 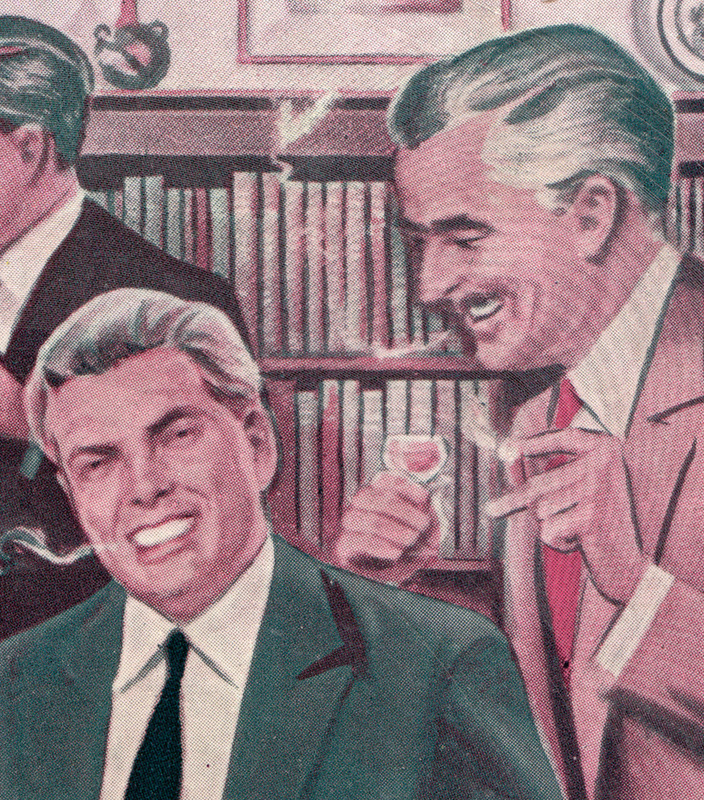 To finance University, Nickel started illustrating various comics series in 1952. 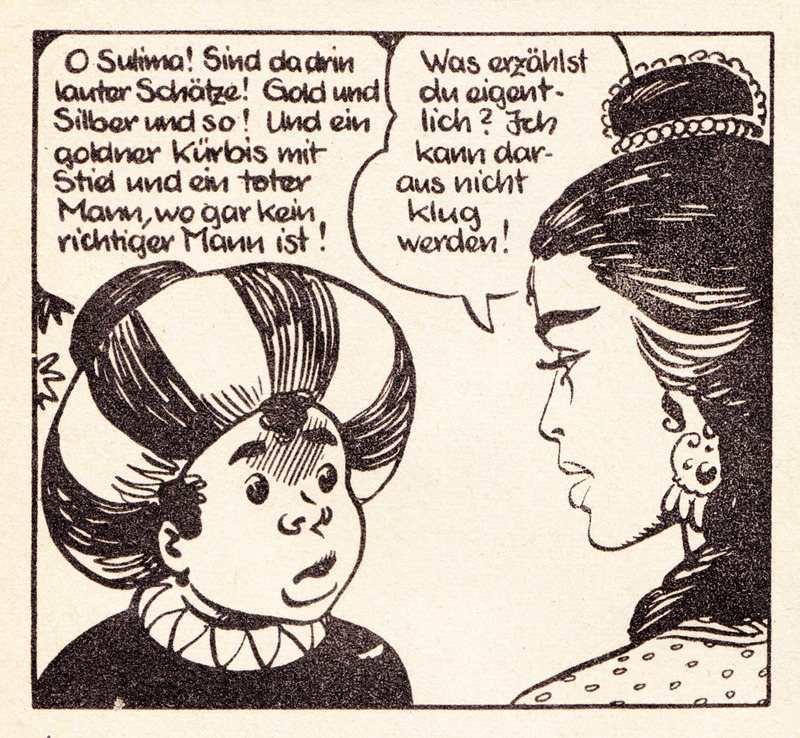 From 1952 to 1964 he worked on a whole series of comics, such as Robinson, Hot Jerry, Titanus, Die 3 Musketiere, Der Graf von Monte Christo and Peter’s seltsame Reisen. 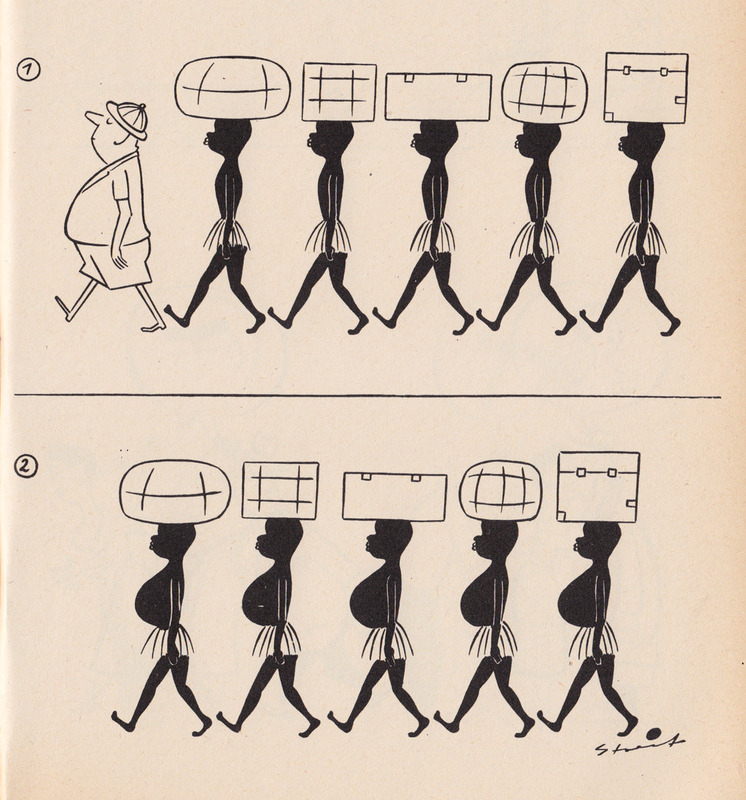 Informed by his studies, Nickel´s comics were educational, at a time when comics were still regarded as trash that was subverting the children. After finishing University in 1959, Nickel worked in a Berlin museum and then applied for a job at the New York Metropolitan Museum as a curator of the historical weapons collection. He stayed there until his retirement in 1989. Today he lives in Florida. In 2011 Helmut Nickel was honored with a lifetime achievement award at the Munich Comic Festival. 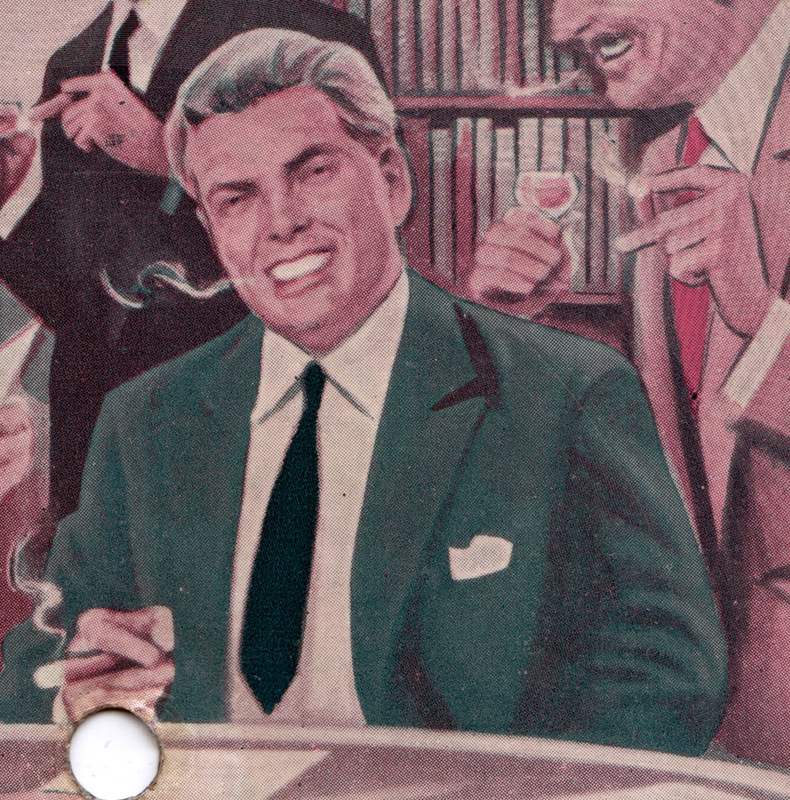 Yesterday, Helmut Nickel turned 94. 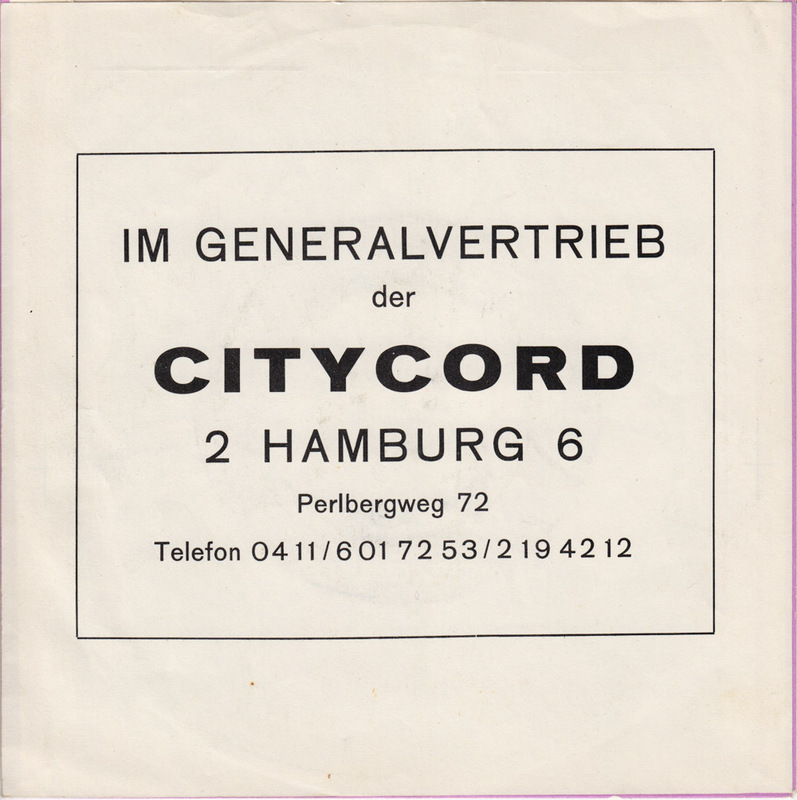 Like many flexi discs that I´ve posted over the years this was also published by the Phonocolor company of Berlin-Lichterfelde. 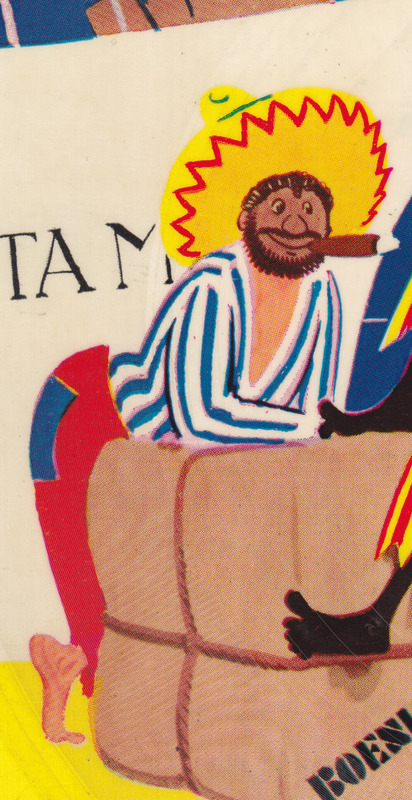 Phonocolor also issued the Okay Exquisit, Rondo and Topas labels. I´m currently on a visit to Brussels together with the staff of Jungle World. 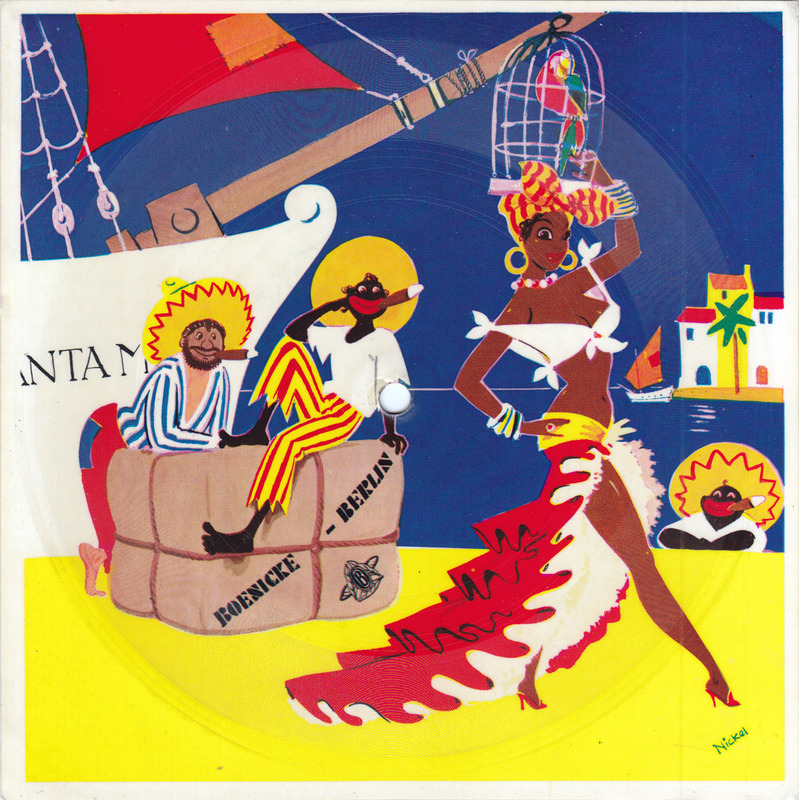 Yesterday I bought this EP at a second-hand record store. 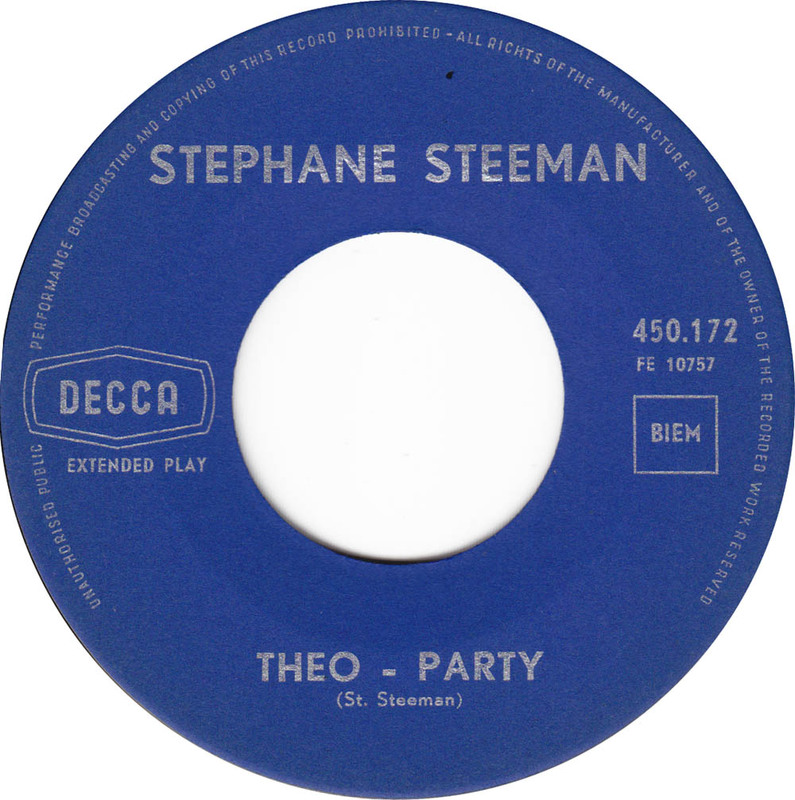 I did not record the A-side Théo-Party, because I do not understand it. 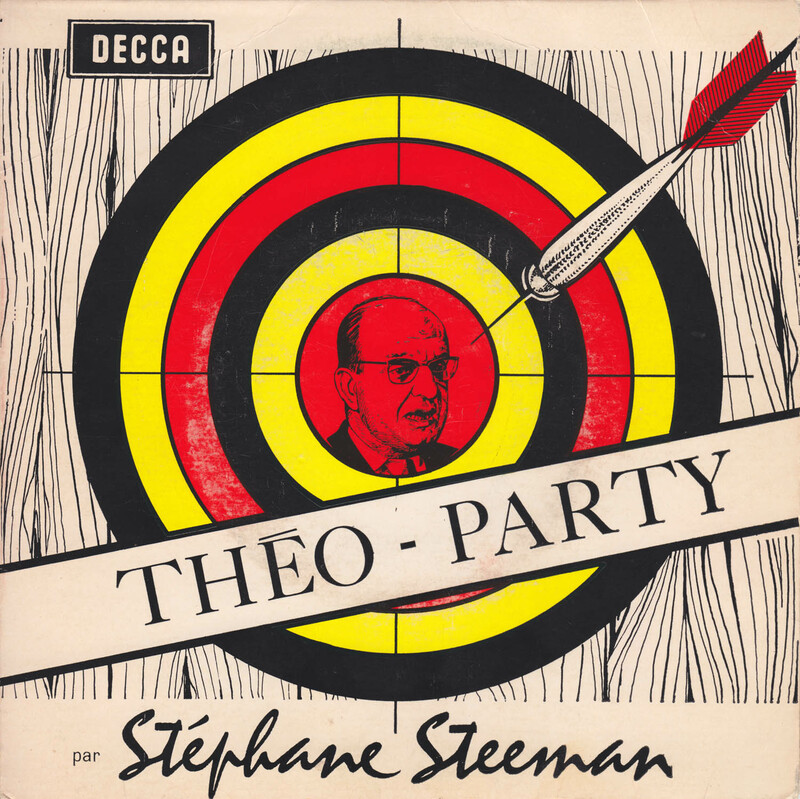 It´s a spoken-word piece by Belgian comedian Stéphane Steeman imitating Belgian Christian-Democrat politician Théo Lefèvre. 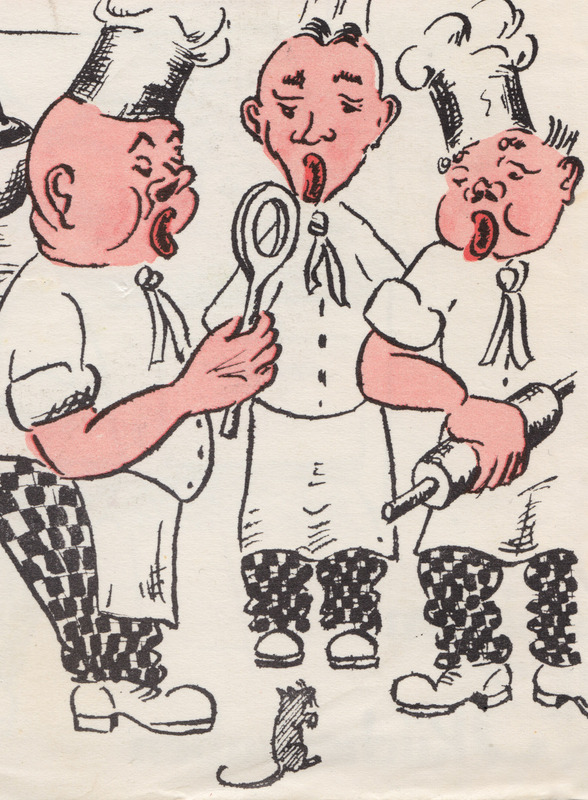 The political satire extends to the pseudonyms of the bands: Alex Trémiste et ses Meneurs (Al Extremist and his leaders) and Fred Eralist et ses Fanfare (Fedearalist and his fanfare) . 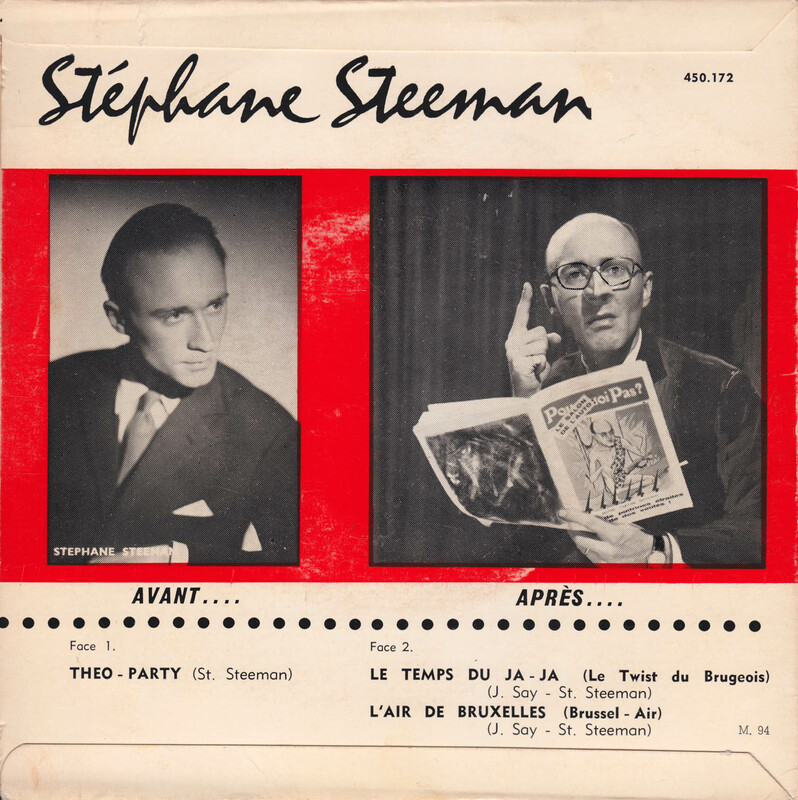 Likely the actual band leader behind those aliases was Belgian musician and composer Jack Say ,who co-wote the songs with Stéphane Steeman. I like the two songs on the flip. 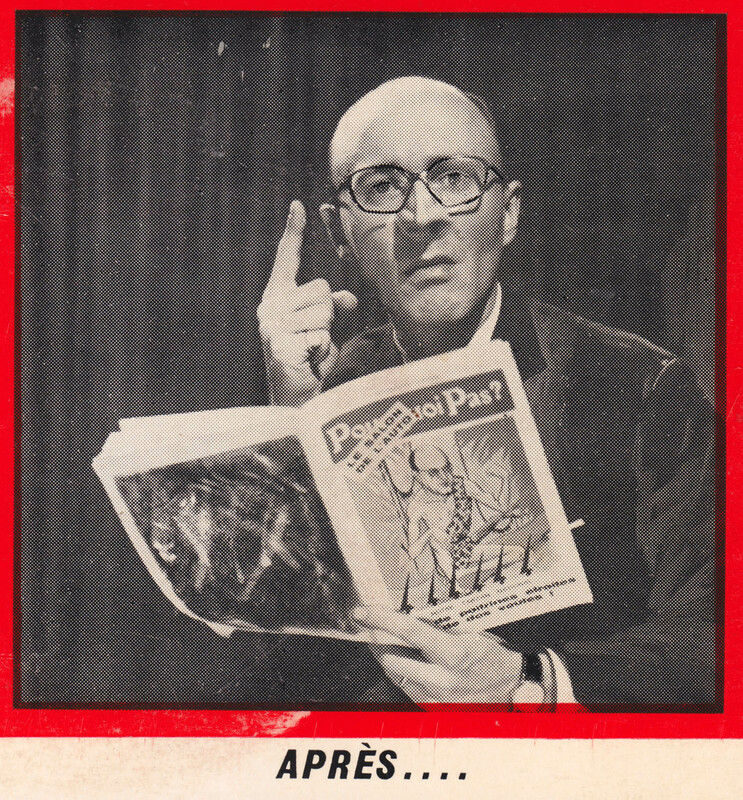 No release date given, but sometime between 1962 and 1964 – when Théo Lefèvre was Prime Minister of Belgium. Le Temps Du Ja-Ja has the subtitle: Le twist du Brugois – The Bruges Twist. Okay, that´s not true. If it was, you would probably have heard about it. 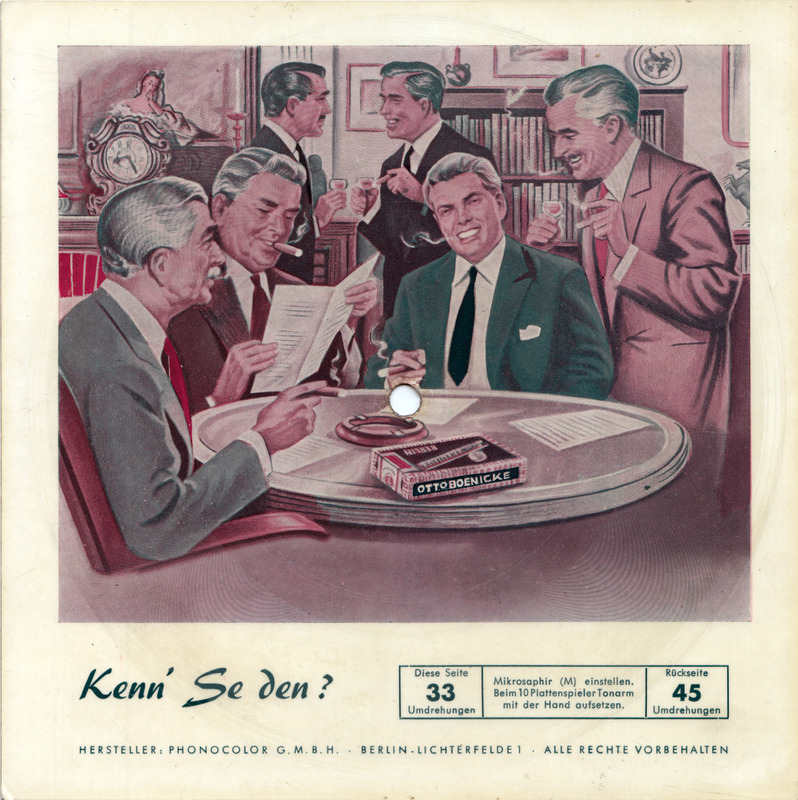 It´s a pretty nice German novelty record with a cartoon sleeve. Perfect for Berlin Beatet Bestes. And, the flip and the back of the sleeve are indeed blank. 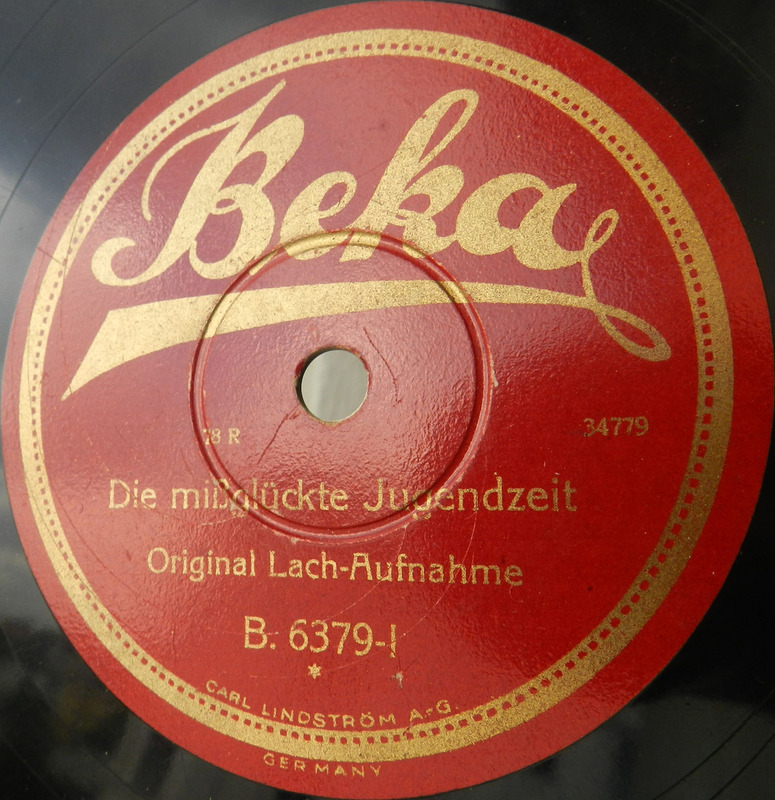 The label, that says “Lachplatte” (Laughing Record) and the Art Nouveau-style of the lettering, suggest that the song is based on the idea of The original Okeh Laughing Record: a man and woman laughing uncontrollably about a musician playing out of tune. For whatever reason, this song has very little laughing, but a lot of out of tune playing. I assume, that the Kleckerdorfer Symphonieorchester is actually Rolf Schneebiegl´s brass band. 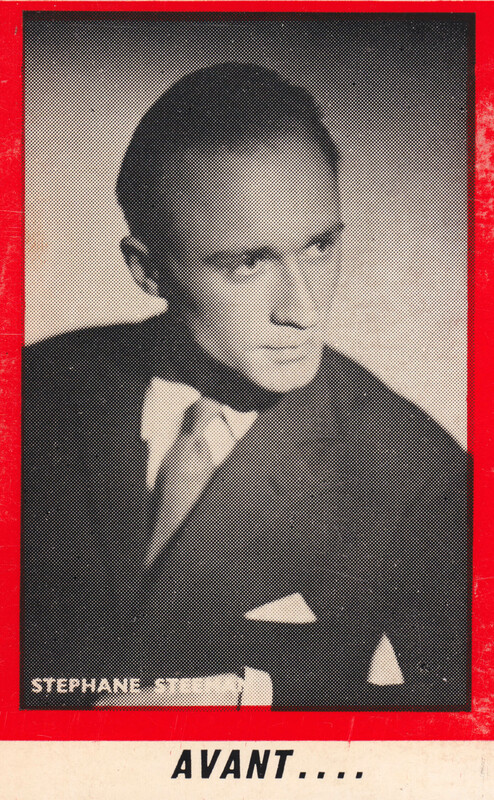 Scheebiegel (1924-2004) was quite an interesting musician who played jazz after WWII with Freddie Brocksieper, Kurt Edelhagen and Hans Koller, before he started his own very successful brass band, the Original Schwarzwaldmusikanten. 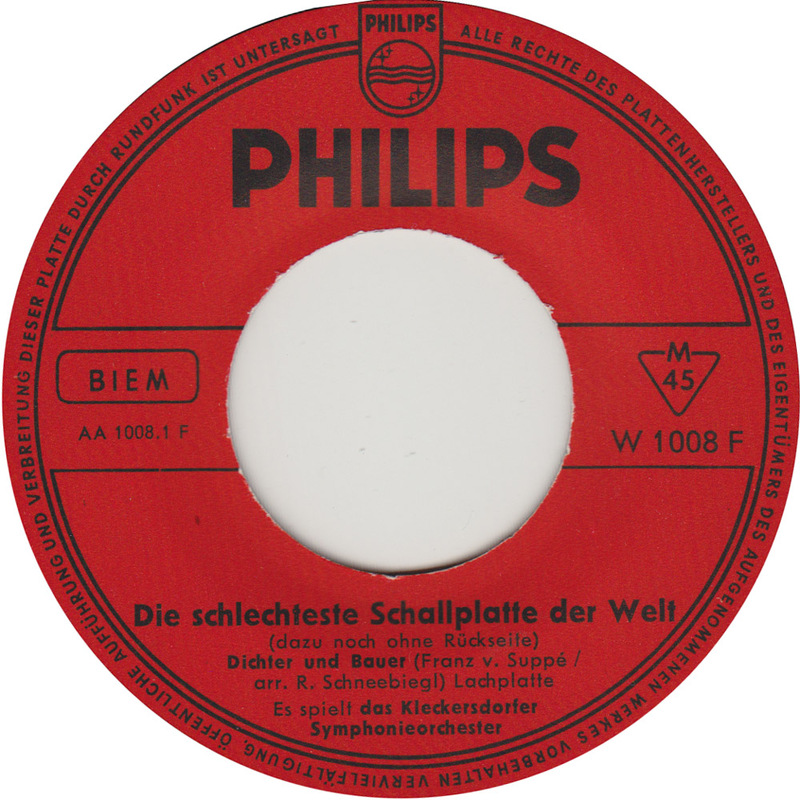 While it might not work as a re-make of the famous Laughing Record, fans of classical music might still find humor in this rendition of Franz von Suppe´s “Dichter und Bauer”, as arranged by Rolf Schneebiegl. 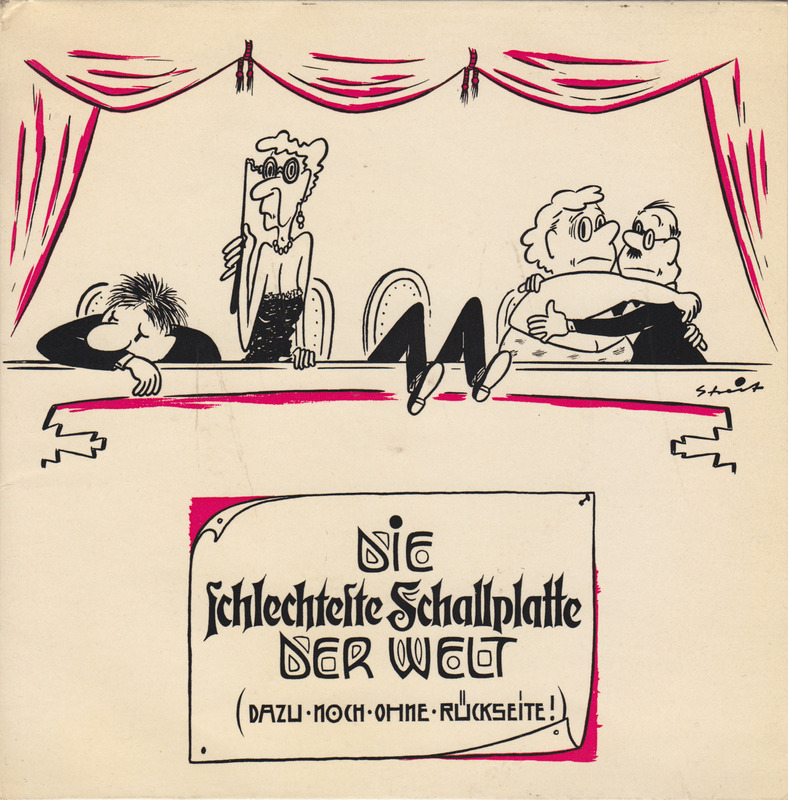 The reason I bought this record, was the sleeve, designed by cartoonist Reinhard Streit. I found no information about him online at all. 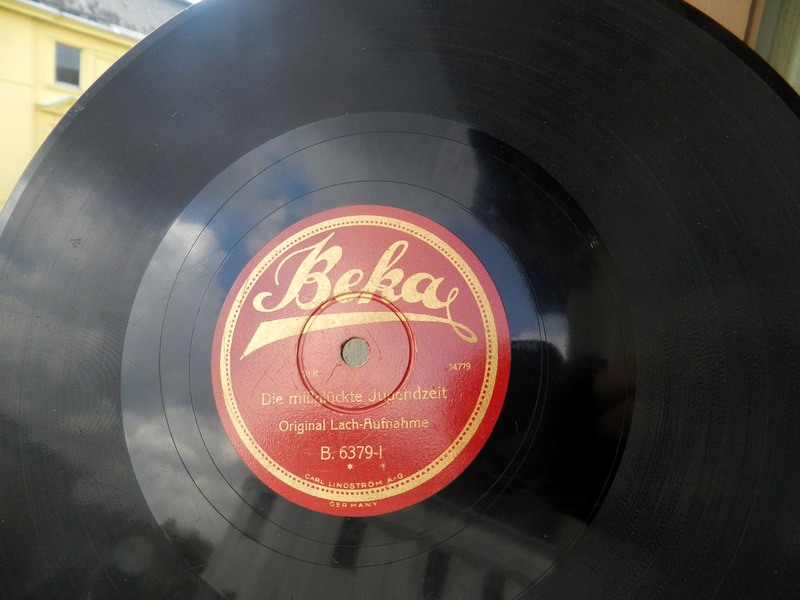 The original OKeh Laughing Record, first released in 1922, features a man and woman laughing uncontrollably in response to a musician playing out of tune. Jacob Smith wrote about the Okeh Laughing Record extensively in his blog Vocal Tracks in 2008. 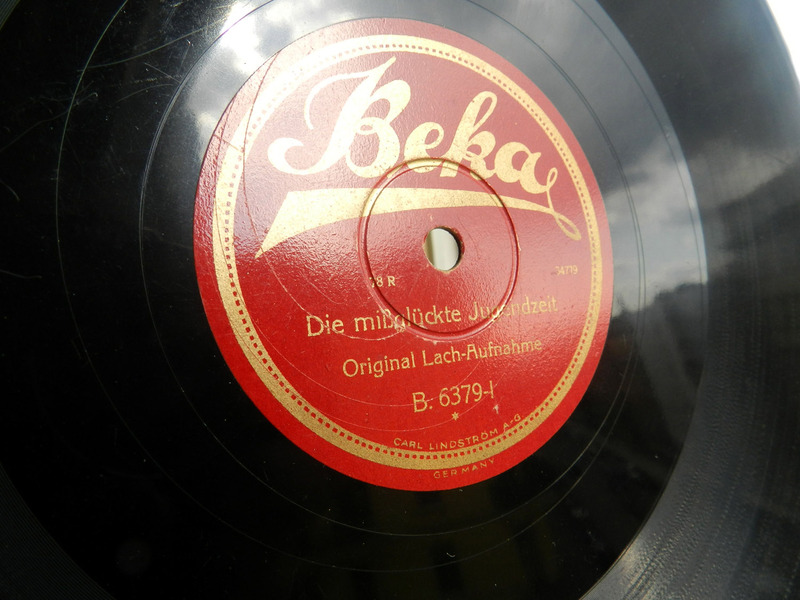 This is the Beka Laughing Record, the German version of the OKeh Laughing record. Or was it the other way round? 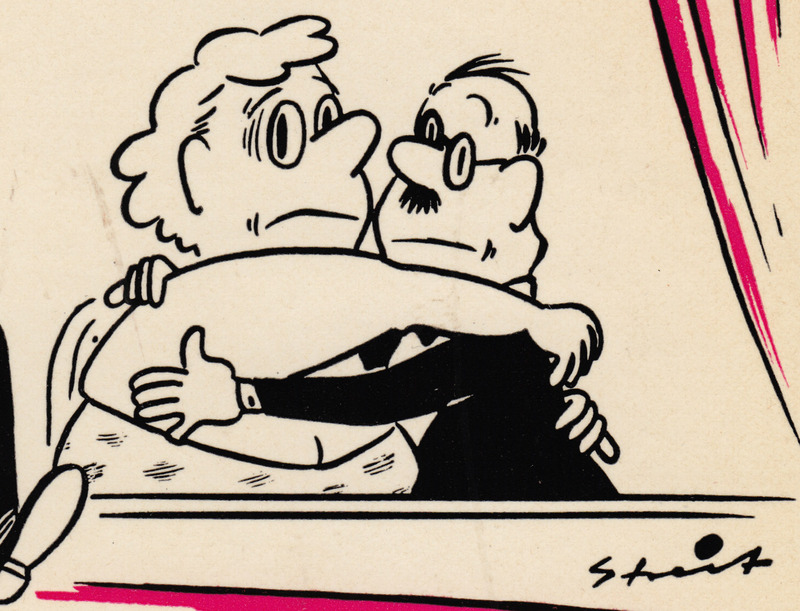 The record was also featured in the 1955 Walter Lantz cartoon Sh-h-h-h-h, the last short directed by Tex Avery. 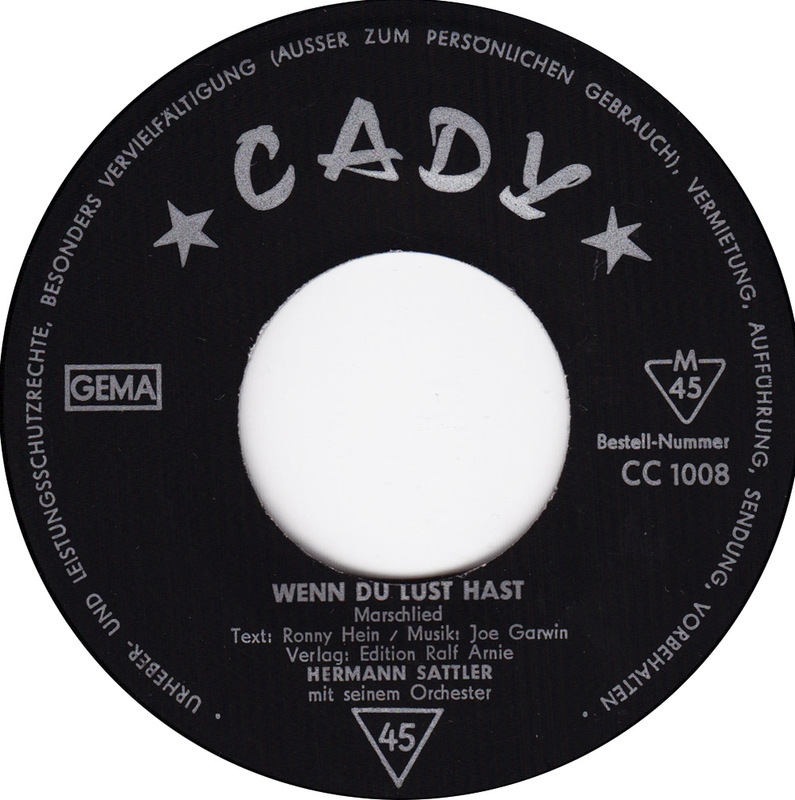 Even more dirty schlager songs by the tiny Cady label. 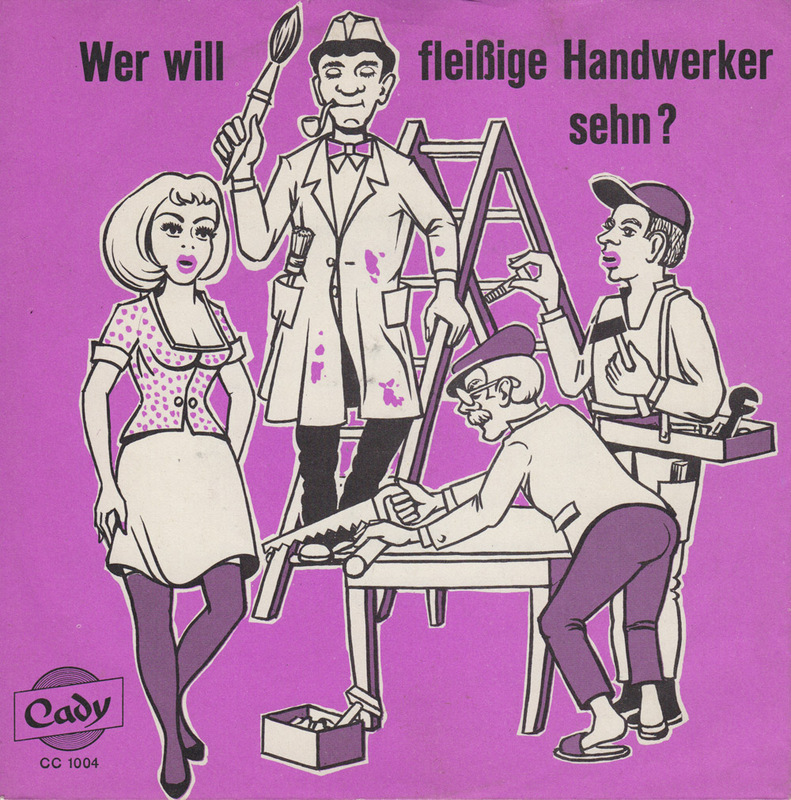 The illustration on the sleeve was drawn by the same anonymous artist that did the Helga Mohr sleeve. More risqué schlager by the Cady label. 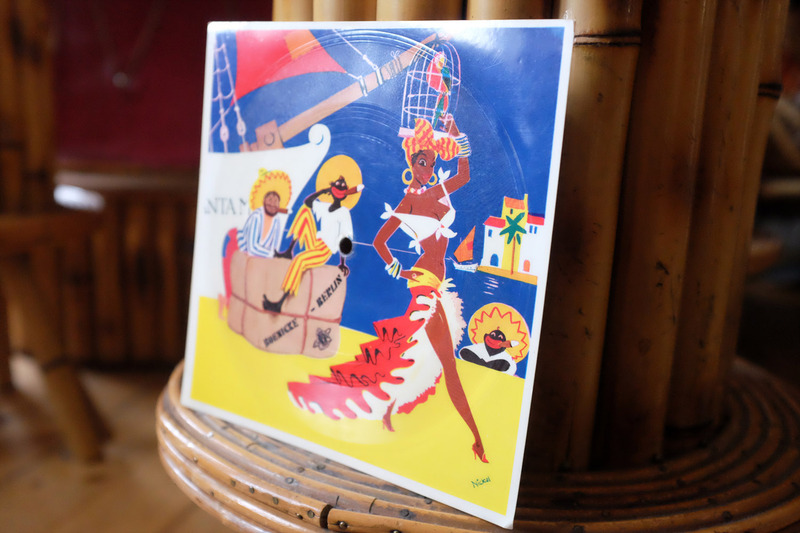 I bought these 45s because of the cartoon sleeves, designed by an anonymous artist. 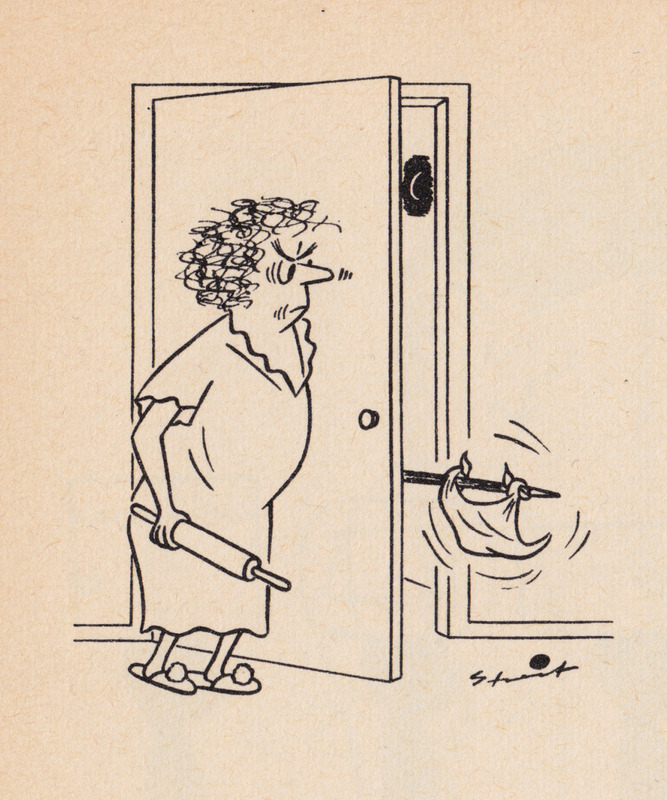 Helga Mohr sounds a lot like Gisela Jonas. 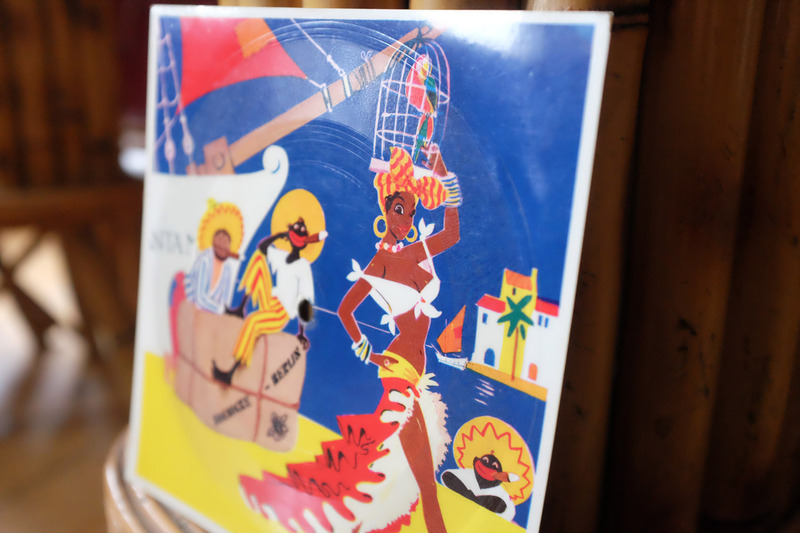 Besides, there´s not much to say about these records. Nobody seems to want them. Nobody collects them. 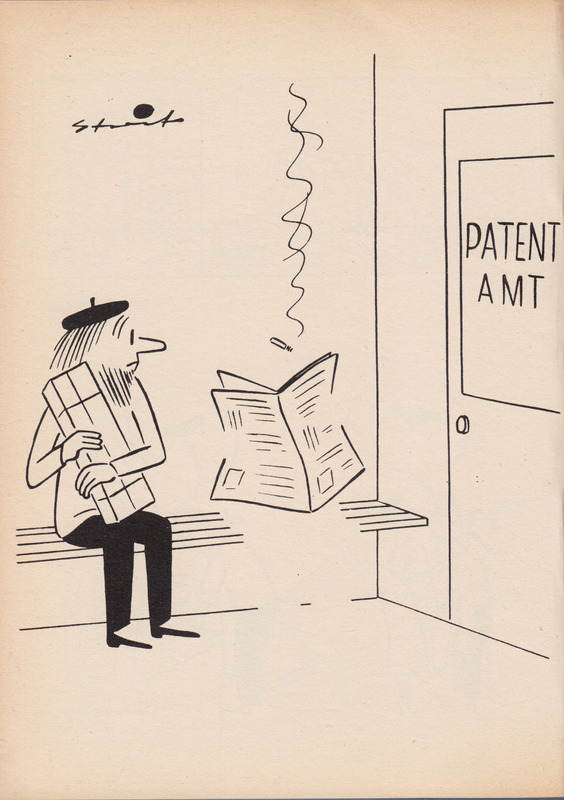 Nobody ever thought that they should be reissued in the past 50 years. However, I bet some fools will soon offer them on Ebay for 20 Euros, just because I present them here. Naturally, nobody will buy them. Jello Biafra called him:”The most quintessentially hideous recording artist… a kind of blonde-wig Aryan combination Mitch Miller-Tom Jones” (Incredibly Strange Music, Vol.II, 1994). 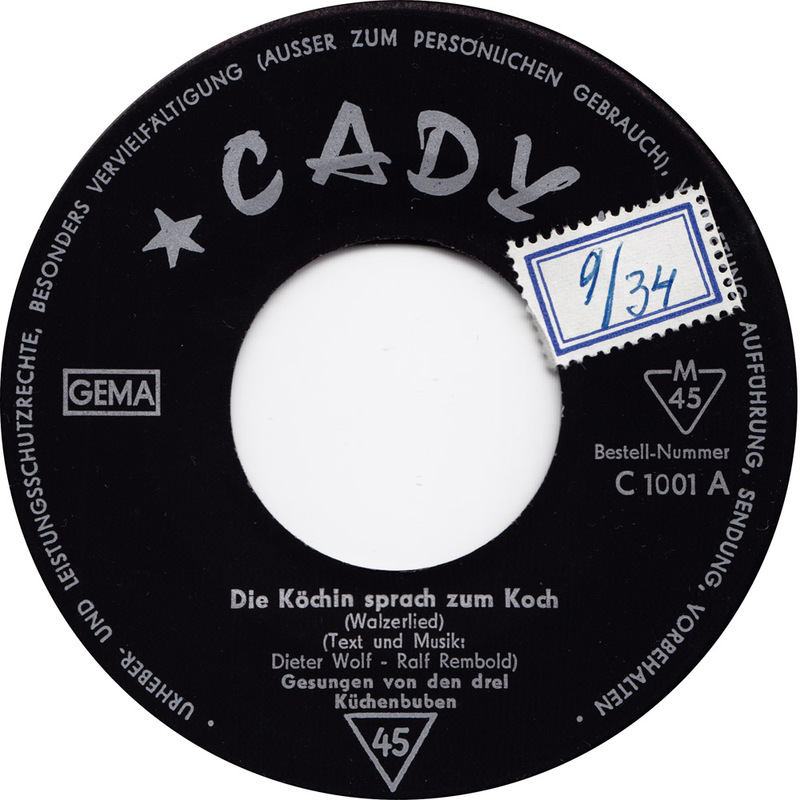 I remembered that I had this record somewhere, after I read that our “German Andy Warhol with sunglasses and white hair”, was also in this group. So yesterday, I went down to our basement and dug in some old boxes for an hour to finally find this record.